Menopause is a natural phase in a woman's life, however, it can be challenging and uncomfortable. Natural Balance is pleased to offer nature's alternative for these midlife changes! 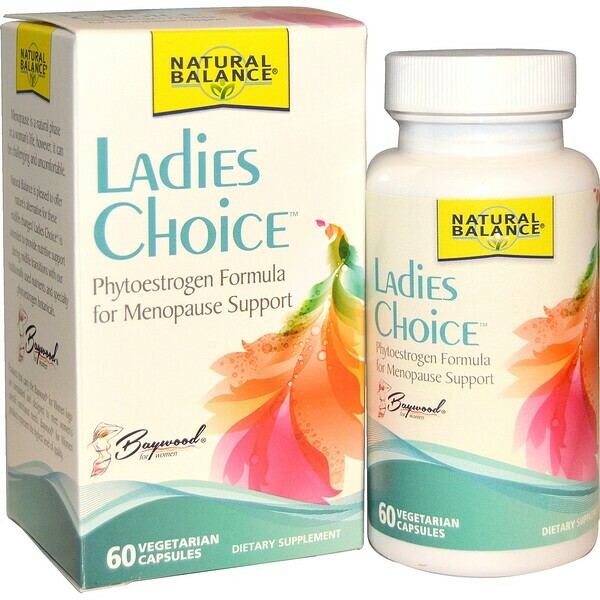 Ladies Choice is intended to provide nutritive support during midlife transitions with our traditionally used nutrients and specialty phytoestrogen botanicals. Products that carry the Baywood for Women logo are formulated and designed to meet women's specific nutritional needs. Baywood for Women products represent the highest level of quality. Use only as directed. Take one vegetarian capsule twice daily. Store in a cool, dry place. 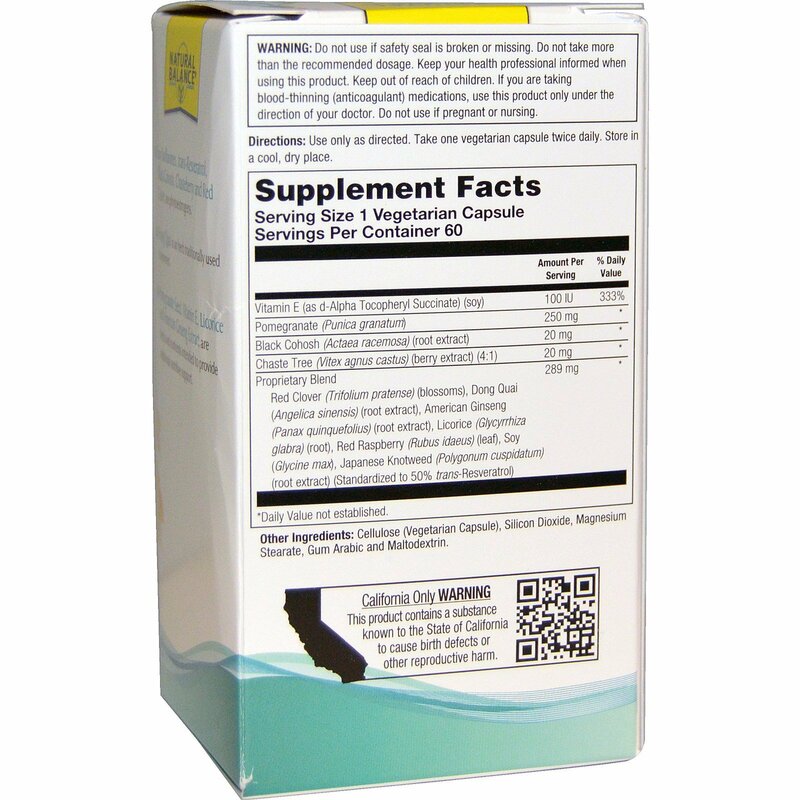 Cellulose (vegetarian capsule), silicon dioxide, magnesium stearate, gum arabic and maltodextrin. Do not use if safety seal is broken or missing. Do not take more than the recommended dosage. Keep your health professional informed when using this product. Keep out of reach of children. If you are taking blood-thinning (anticoagulant) medications, use this product only under the direction of your doctor. Do not use if pregnant or nursing.